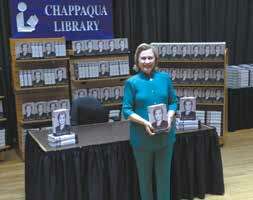 Welcome to the Chappaqua Library! Our mission is to provide information, programming and access to resources and materials for your educational and recreational needs. Your library card gives you access to our physical collection located in our 26,000 square foot facility and our downloadable resources from the comfort of your own home. The library is open seven days a week during the school year: Monday-Thursday 9 a.m.-8 p.m., Friday 9 a.m.-6 p.m., Saturday 9 a.m.-5 p.m., and Sunday 1 p.m-5 p.m. Our catalog, online resources and downloadable e-books and e-audio titles are available to patrons 24 hours a day either through our website, chappaqualibrary.org, or our mobile app. We offer friendly and knowledgeable staff to help you with all your research needs.The Chappaqua Library is part of a consortium of 38 public libraries in Westchester County with a shared online catalog and daily delivery service. Your library card gives you borrowing privileges at each, plus the ability to reserve an item and have it delivered locally for your convenience. Founder of KenKen Puzzle Co. and local resident Robert Fuhrer invites KenKen enthusiasts of all ages and abilities to come together to match wits and challenge each other for accuracy and speed. Founded in 2010, the Chappaqua Library KenKen tournament is held annually every December (exact date will vary year to year). This event is free of charge, and open to the public. Held every June (exact dates will vary year to year), this event is sponsored by Friends of the Chappaqua Library as a way to promote and share reading throughout the community. Town members can donate books in good condition on designated donation days. Please sort by category before bringing items to the sale. No textbooks, encyclopedias, condensed books, magazines, computer software, cassettes, LPs, or videotapes. Specially trained AARP members are on hand at the library annually from February-April 15 (exact start date will vary year to year), to assist patrons in filling out their tax forms. Though anyone is welcome, this service is primarily for low and moderate income taxpayers, with special attention to those aged 60 and older. Held annually every Spring (exact date will vary year to year), Big Truck Day is exactly what it sounds like. Come see an exciting display of various “big trucks”–including, but not limited to, Chappaqua and Millwood firetrucks, Chappaqua Volunteer Ambulance Corps van, Chappaqua Transportation school buses, motorcycles, and assorted construction vehicles–right outside, in the Chappaqua Library parking lot! The event is free of charge and open to the public, and town members of all ages are welcome! 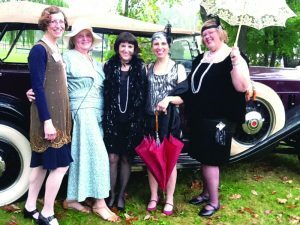 This community-wide literary event began in 2008 after the library applied for a grant from the National Endowment for the Arts to host such an event. The entire community is encouraged to read and share a single literary work by a specific author. Also, anyone may participate in various programs sponsored by the library relating to that author. Past authors have included Edgar Allan Poe, Mark Twain and Gertrude Stein. Held every other year in October (exact date will vary). Meets at the library once a week every other week, for 16 sessions. Topics by a wide variety of guest speakers vary session to session and year to year. Meetings are free of charge and open to the public. 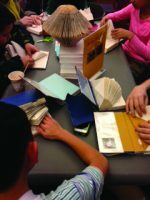 Held every Friday during the school year (September through June, except for school vacation days), the library hosts a different drop-in program each week for students in grades 7-12. Past offerings have included author visits, book discussions, poetry readings, arts-and-crafts projects, and a communal game of Magic:The Gathering. A non-profit organization promoting financial support for the Chappaqua Library through various fundraising, donations, and membership fees. 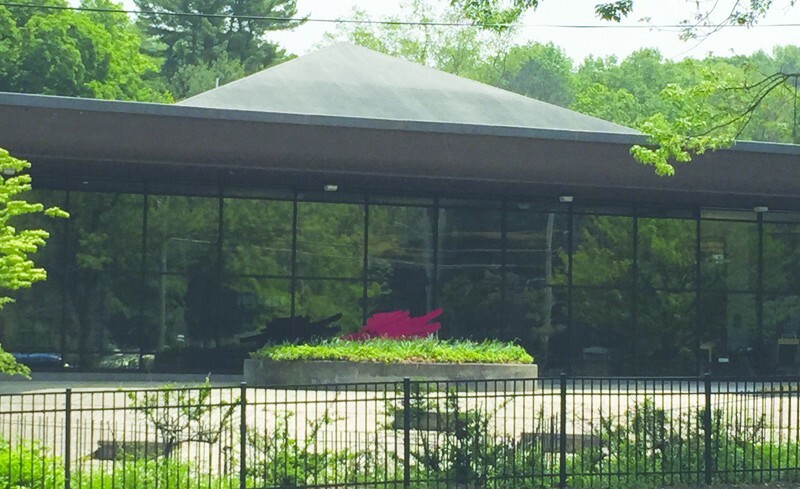 Meetings to discuss programs and funding are held monthly at the Chappaqua Library, and the public is invited to attend. Membership is open to any individual 18 years or older, and the fee is $30. 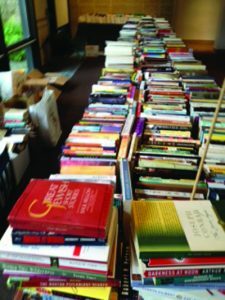 Members are entitled to a special preview of books the evening before the annual June used book sale. Chappaqua Library hosts an afternoon-long event, featuring origami and other Japanese crafts, anime drawing, a Japanese dinner, and a screening of an anime film. Held annually on a Friday in February (exact date will vary year to year). Open to students in grades 7-12. Held every Spring (exact date will vary year to year). An open house-style event wherein various local museums set up booths and participants can learn about each museum and take part in creative, fun hands-on activities. Booths in art, nature, history, music and more! The event is free of charge and open to the public; all ages are welcome! Town members aged 18 years or older can obtain special passes to these museums (and more throughout NYC) if they hold a library card and have no outstanding fines. Held annually in April or May (exact date will vary year to year). A music festival featuring young Asian-American student performers. Classical and contemporary works from West to East, followed by light refreshments. Co-sponsored by Organization of Chinese Americans of Westchester and Hudson Valley. Held during exam weeks in January, May & June (exact dates will vary year to year). The library extends its hours until 10 p.m. for high school students to stay. The theater is also open for study groups and meals at this time. Gathering of local music students sharing solo, chamber, or small ensemble pieces, followed by a selection of light refreshments. Held annually on a Saturday in May (exact date will vary year to year). Open to teens in grades 7-12. 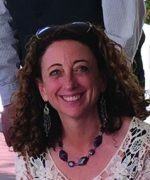 The Chappaqua Library also hosts a variety of other exciting events, including film screenings, poetry readings, book signings, writing workshops, discussion groups, and more!